UAE-based Al-Futtaim's home improvement and lifestyle brand Homeworks said it has rolled out its 'Price Crash' strategy aimed at making home products more affordable to its customers across Saudi Arabia. As a result of the new strategy, customers will have greater choices for their home enhancement projects with average savings of 40 per cent on hundreds of products. More products will be added each month, said the company in a statement. “We entered this market in order to provide customers with a wide range of inspirational, stylish and contemporary products that help improve their homes,” remarked Paul Siner, the country manager – Saudi Arabia at Al Futtaim. “With the new prices, quality and value go hand-in-hand at Homeworks as customers now have an opportunity to buy great quality products at consistently low-prices. The new strategy will ensure that our products are more affordable, and customers can feel confident in the knowledge that they will always enjoy competitively priced products across our stores,” he added. To celebrate the launch of the Price Crash campaign, the Al-Futtaim brand is offering hundreds of prizes which can be won by simply visiting the Homeworks stores in Riyadh and Jeddah. They can win prizes including gift cards, garden and DIY products and more by simply spinning the wheel which is located in-store. 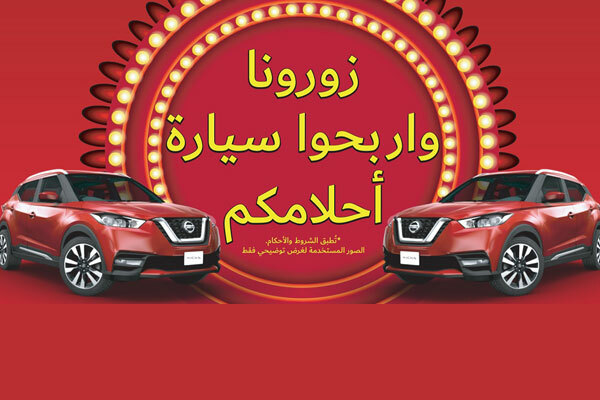 Moreover, customers can also enter the grand raffle draw in Riyadh and Jeddah stores to win a Nissan Kicks worth over SR60,000 ($15,989) each. There will also be plenty of in-store demos from leading brands including Kenwood, Delongi, Braun, 3M, Yale, Arab Dalla and more and activities will include demonstrations from renowned chefs and DIY experts, said Siner. Siner said Homeworks' objective was to help customers create good homes. "To do that the brand needs to make home projects fun and affordable all year round, and their hundreds of price drops and stable low prices across all ranges help do just that," he noted.